Springtime in Paris is renowned across the globe. If Paris is on your bucket list of cities to visit in your lifetime, this is the time of year to go. The weather is mild, the crowds are minimal, and the sun peeks its way through the clouds. Cherry blossom trees bud and tulips and peonies add welcome color to City of Love once again. 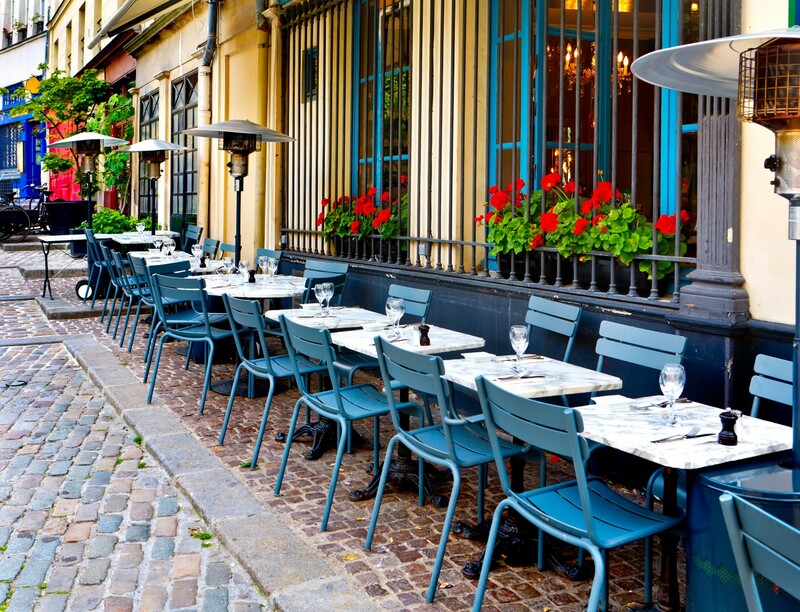 One of the most memorable experiences one can have during a Paris vacation is sitting outside a Parisian bistro taking in the scenery, enjoying the cuisine, and experiencing the people of Paris. But, if a trip to Paris isn’t on the horizon, you could always bring a touch of Paris into your own home. 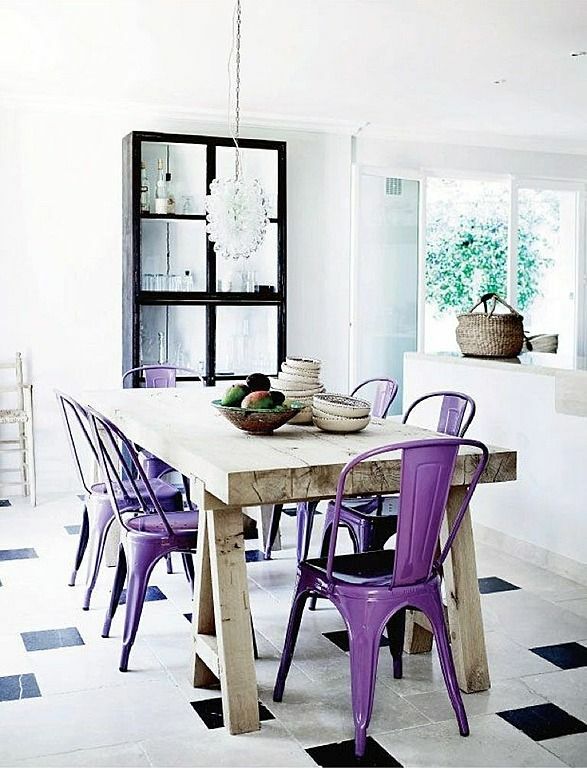 Colorful bistro style chairs paired with a reclaimed farmhouse dining table takes the bistro dining experience to another level. This style would look best in a modern or eclectic styled home. Sipping a cappuccino and nibbling on a pastry while surrounded by your French garden on a cool sunny day is the essence of Springtime in Paris. 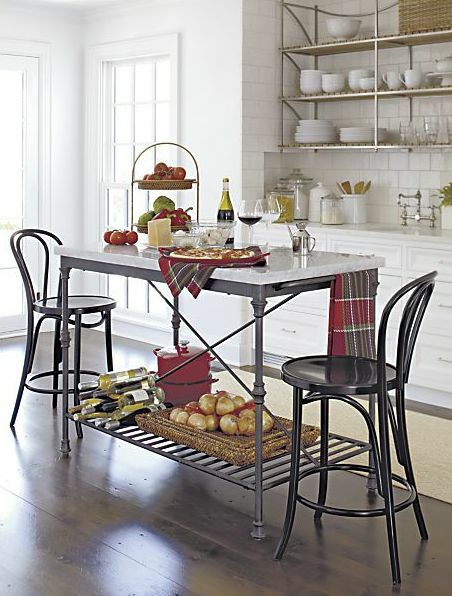 Pair bistro chairs with an outdoor patio table to give your eat-in-kitchen that quaint Parisian bistro styling. This retro flooring increases the charm factor of this pairing. On the not so traveled roads of the French countryside, you’ll come across charming little family bistros. 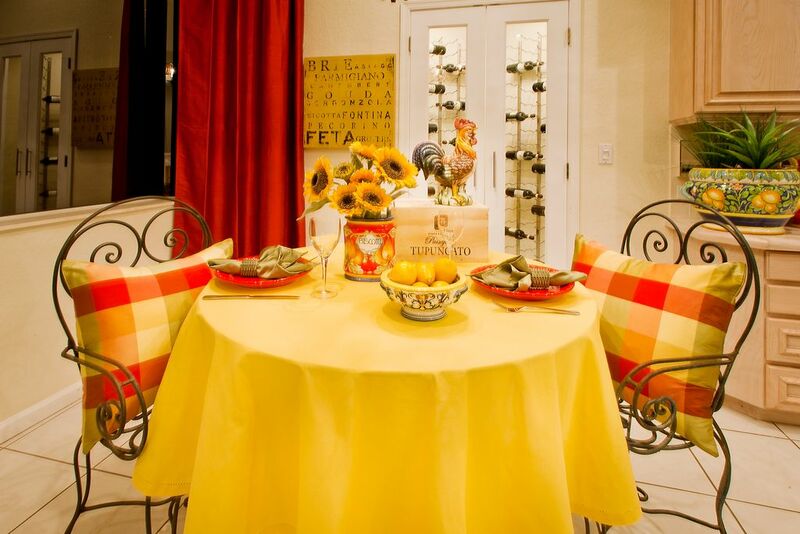 Use a bright table cloth and pillows to bring French Country to your eating area. 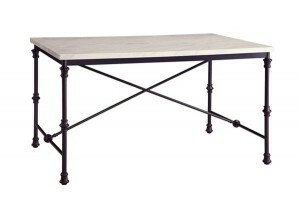 This simple industrial style bistro set will look great in most styles of homes. It’s ornate enough, with its marble top, to fit in traditional homes and has enough iron to dress up the interior of an industrial loft. 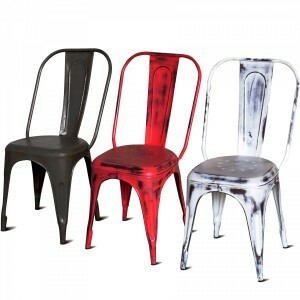 Add some color to your eating area. Spray paint the metal legs of an outdoor patio table, add a few cane chairs and add a plethora of whimsically patterned throw pillows to create this fun eatery.